Southern Maryland Best Buys: It's A Car, It's A Plane, It's A Flying Car!! I posted a car boat concept a month or so ago so now it is time to post a JETSONS like car Plane. This will be fun someDay. Wonder what kind of license you will need. Wonder if they will also develop a car plus boat and plane concept. Sign me up! I've often thought the best way to beat the continual traffic buildup on the roads would be to rise above it and fly. I don't know about you, but sitting in traffic sorely tries my patience. I find myself thinking of all the other things I could be doing, and worrying about missing that all important meeting, event, etc that I'm heading to. If you're one of those that have ever wished you had your own private hlicopter and heli pad so that you could cut down on your commuting time or if you've ever wished that you could could just fly on over to wherever it is you're going to , you might just be able to have that wish come true. A "flying car" may be closer to reality than you might think. 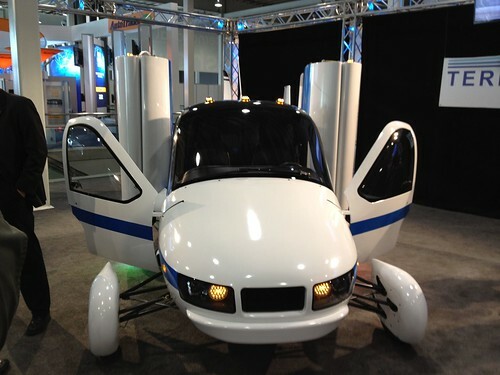 An American company by the name of Terrafugia has been working on creating a flying car since 2006 and expects it might be a reality sometime within the next decade. It will be capable of vertical landing and takeoffs and of traveling at speeds of up to 200 miles per hour. I'm just wondering if this will create the same kind of traffic jams in the sky. What do you think? If I can assist you in any way with your real estate needs in Suffern, NY Rockland County or the surrounding areas, please feel free to contact me by phone at (914) 772-4528, email me at Leah.Stern@cbmoves.com or visit my website . 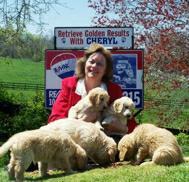 Thanks for the reblog, Cheryl. A car/boat/plane sounds like fun. I'm on line right behind you. Not for this chic. I want to be in a MUCH bigger plane if I fly. Now a car/boat I could handle. What fun to zip clients around on the lake and then just drive back to the office. I love this concept but want a driver and a pilot. Hey I could hire a driver for a whole lot less.